All pages must be published before they can be seen by the public. At the time a page is published, all its parts are brought together like a puzzle and published as a static page on the website. When any of the pieces of the page change, the page must be re-published. 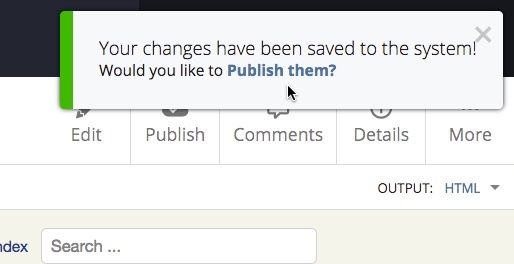 OR, just click "Publish" and then on the dialog box that appears, simply click "Submit". To publish your entire site, simply click the "Base Folder" and then click "Publish." Publish jobs will only take a few minutes to publish. If you're publishing your entire site and, depending on the size of the site, this can take up to 30 minutes. There are several methods to prevent something from publishing either forever or for a short time. Set the page, folder, or file to not publish or index. These options can be found under the "Configure" menu. 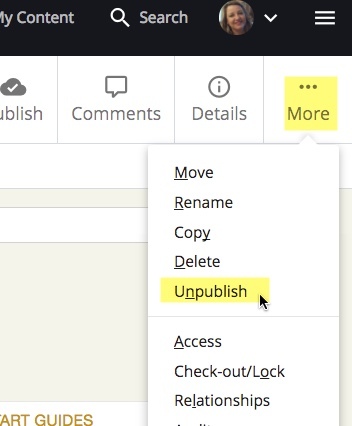 Uncheck the box "Include when publishing" if you don't want the page (or a folder and its contents) to publish. 2. Set the page Start Date in the future. The start date will prevent the article from being published until that date. Once that date arrives, the page will publish. 3. If the page has been saved & published in the past, new changes can be saved as a Draft by simply clicking "Preview Draft". 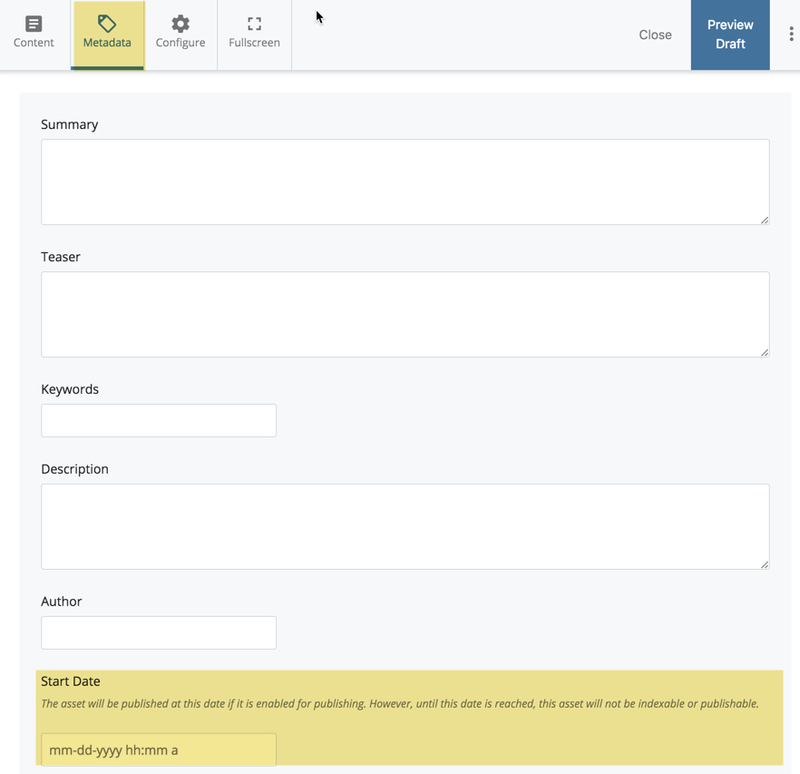 That is considered a draft until you click "Submit"
Publish the smallest portion of the site necessary, so as to keep the publish queue small. When making a change to a page, publish just that page. When adding or making a change (add, delete, rename a page or folder) that will alter the left navigation within a folder, publish the entire folder. When changing something that appears on many pages across your site (top nav, footer links), publish the entire site. Content Blocks don't publish. It is only necessary to publish the page on which the content block appears.